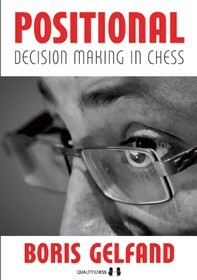 Positional Decision Making in Chess offers a rare look into the mind of a top grandmaster. In his efforts to explain his way of thinking, Boris Gelfandfocuses on such topics as the squeeze, space advantage, the transformation of pawn structures and the transformation of advantages. Based on examples from his own games and those of his hero, Akiba Rubinstein, Gelfand explains how he thinks during the game. Currently available only in hardcover. A paperback edition will be released in 2016. 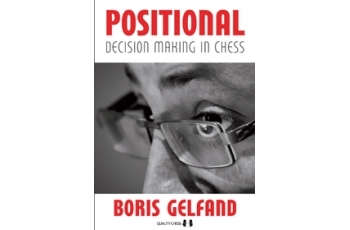 "Gelfand is very good - and very honest - at explaining which decisions he could calculate and which decisions he needed to take on the basis of judgment, and how he did that... It adds up to the type of book I love... I think this book has masses to teach any strength of player. "This is an outstanding book, probably the best I’ve read this year. I have to admit, from a personal perspective, that I found this book to be the most useful decision-making chess guide I have ever read. It’s jam-packed full of useful gems, little pieces of positional advice that probably just come naturally to Gelfand, but need to be dictated to and learned by the rest of us." " This is a special book, which explains important concepts through wonderful games, annotated with wit and insight by a phenomenal player. The notes to Game 7 of the Anand – Gelfand World Championship match alone are worth the price of admission. "There are many original and perceptive observations sprinkled throughout this book... 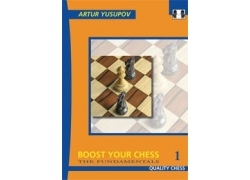 This is must reading for any serious chess player. 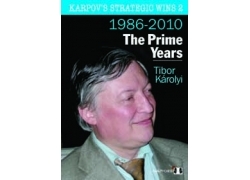 My strongest recommendation without reservation"
This might well be the book of the year, and serious students of modern chess practice should not miss out on its lessons." 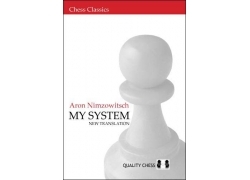 "When purchasing a Quality Chess product that is exactly what you get - a quality chess book not only in appearance and handling but also in content. 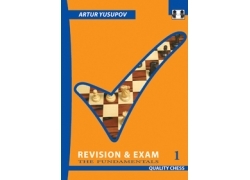 At the moment I am deep into their latest product 'Positional Decision Making in Chess' and can confirm that the standard has been maintained and even (if this is possible) improved. Gelfand has been on the chess scene for many years and can truly be called one of the elite. His experience shines through in the book... Not only is the book a pleasant and easy read, it is very instructive and is worthy of deep study."